Two blocks and two tools make this delightful optical illusion-style quilt! Gorgeous with reds and blues of the cover photo, but fabulous in other colorways, too. 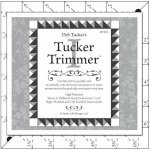 The design is easy to make using the Tucker Trimmer 1 and the V Block tools. Uses four fabrics and a background fabric. 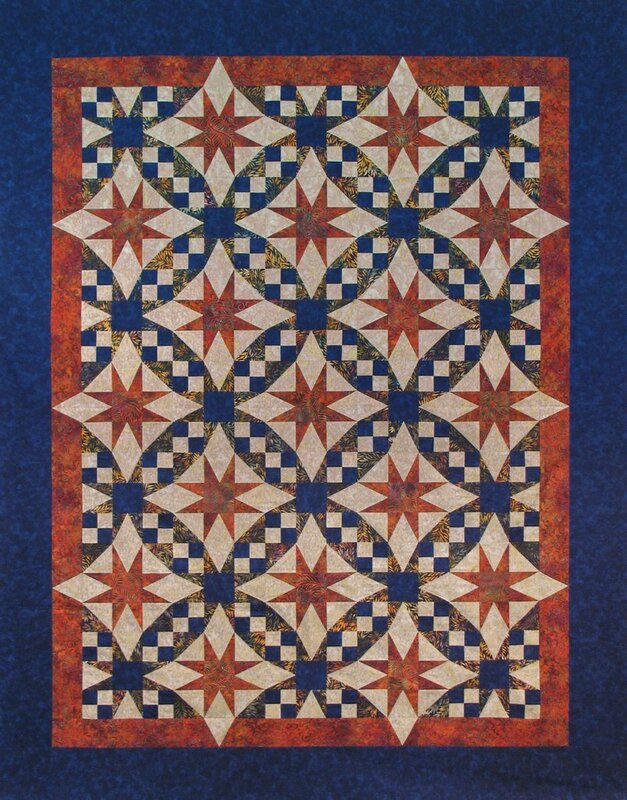 Quilt sizes: 42" x 54", 63" x 81", and 84" x 108"
Block size (finished): 12” x 12"
Required Tools: Deb Tucker's Studio 180 Design Tucker Trimmer 1 and Deb Tucker's Studio 180 V Block available on our website! If you need more copies of a pattern or a higher quantity of any tools than we have offered on our website, please use of "Contact Us" page and we'll happily assist you! Deb Tucker of Deb Tucker's Studio 180 Design has a number of helpful instructional videos online; check these out for great information.